THE RABBIT P.A.D.D.-One of the cutest rabbit websites on the net. Please sign our guestbook so we know you were here. We hope you enjoy our site. It was put together to promote our rabbitry and to share some of the information we have learned in the short time that we have been breeders. Putting it together has been a terrific learning experience. I am glad that we can share our triumphs and defeats with fellow rabbit enthusiasts. Our goal is for other beginners and long time breeders to have the opportunity to learn from us and hopefully teach us a thing or two. Any comments or suggestions would be greatly appreciated! If you can think of anything else that I should add to this site please let me know. Please check back periodically; we will try to add more information as we learn it. If you have any questions or would like to have your URL placed on our site please email us. DON'T FORGET TO SCROLL DOWN AND SIGN THE GUESTBOOK BEFORE YOU LEAVE. I want to thank everyone who has signed the guestbook and sent email. I really enjoy reading all of your letters and comments. click on "Rabbit Breeds" below. Isn't this great? I made the top 25 rabbit sites! 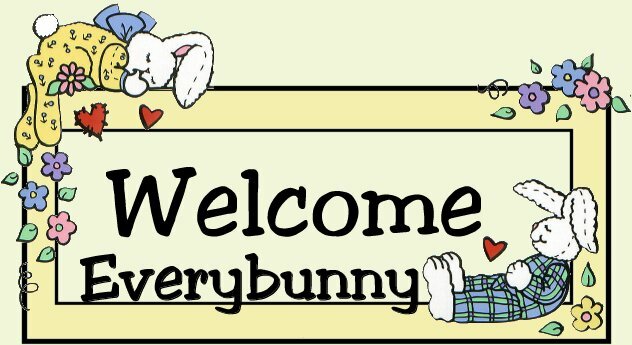 Take a look at all the other great rabbit sites there are on the web. This site is best viewed with beady little eyes!